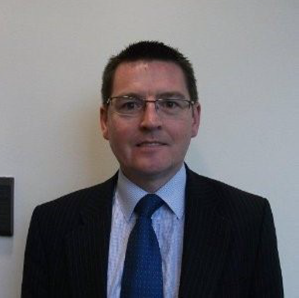 Shaun Hipgrave is the current Head of the Joint Security and Resilience Centre (JSARC) in the OSCT of the Home Office. JSaRC is a co funded unit between the Security Sector and Government with its main objective to use industry and the private sector to support UK Governments security challenges. Shaun has been working in the security sector for over 25 years. After serving in the British Army he joined Northumbria Police where he served for 13 years, mainly in investigation and intelligence roles. In 2003 he joined FTS, a services and software forensic telecoms company focused in the criminal justice space. After a spell as head of international development he took over as FTS managing director. In 2012 He moved to IBM where he worked in the analytics and cognitive solutions business. As well as his private sector career, Shaun has been heavily involved in supporting the security sector through trade bodies. In 2006 he chaired the APPSS board which then merged into the ADS Security Sector board. For the last 6 years Shaun has been the VP of the security sector board for ADS as well as a member of the RISC executive. Shaun stood down from these voluntary positions to take up his civil service role at JSARC in July 2017.